Sunshine Classic – Extended closing date: Due to the inclement weather on Sunday and Monday the Sunshine Classic has been extended to include next Sunday. So why not get a team together and have some fun in West Waterford. Please ensure that all raffle tickets are returned to the Clubhouse by Saturday afternoon. West Waterford is busy at the moment. As the evenings get longer there are more players out playing preparing for the season ahead. On-Going 18 Hole Competition: The on-going 18 Hole Singles competition continues. 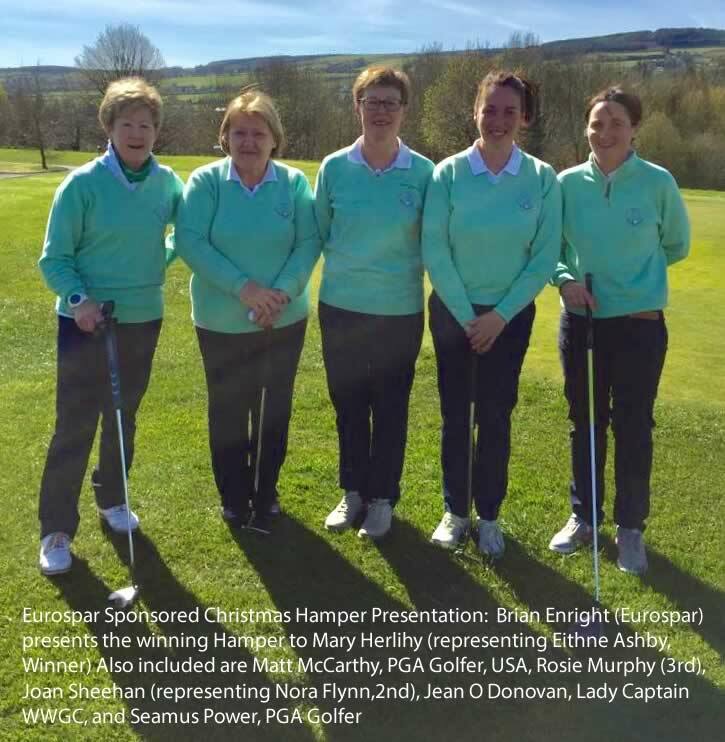 Entries have been very good as players are getting their cards in to qualify to play for the Lady Captain’s competition in early July. The on-going 9 hole also continues. Stella Scores in Tramore: On Thursday last Tramore Golf Club hosted the coastal alliance in conditions that can only be described as challenging. However, West Waterford’s Stella Kinsella played great golf to gain the 2nd spot. Well done Stella. Coastal Alliance: The coastal alliance takes place on Thursday in Tramore Golf Club. Tee times are 10.00 am to 11.30 am. Midweek Medley: This Wednesday the mid-week Medley continues.The competition is open to Ladies and Men. Turn up at the clubhouse at 11.00 am to enter the draw for playing partners. Midweek Medley: Wednesday is Medley day! The competition is open to Ladies and Men. Just turn up at the clubhouse at 11.00 am to enter the draw for playing partners and go out and enjoy the current fine weather. Winter League Progress: This week the Singles matches resume. All matches must be played between the 4th February and 24th February inclusive. Club Competitions: The 9 Hole and 13 Hole on-going competitions continue to attract good entries. Sad Times for West Waterford: The last week has been a sad one for West Waterford members.